Finnish National Opera has commissioned a new opera from Finnish composer Sebastian Fagerlund. The new piece, Autumn Sonata, will have a libretto by Gunilla Hemming based on the film of the same name by Ingmar Bergman. The film, from 1978, the story of an encounter between a celebrated pianist and her adult daughter whom she neglected in childhood. Fagerlund’s Autumn Sonata will be the first full-length opera to be based on an Ingmar Bergman film (Though of course Stephen Sondheim's A Little Night Music was based on a Bergman film). 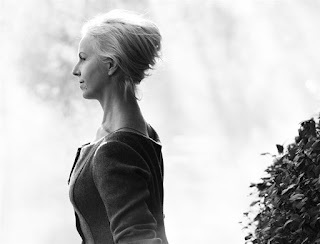 The production is directed and designed by Stéphane Braunschweig, conducted by John Storgårds (chief conductor of the Helsinki Philharmonic Orchestra and principal guest conductor of the BBC Philharmonic Orchestra) and Anne Sofie von Otter will create the principal role of Charlotte. This will be Sebastian Fagerlund’s second opera, following the chamber opera Döbeln. His orchestral works and concertos have been performed by a number of major orchestras including the BBC Symphony Orchestra under Sakari Oramo, and the Bergen Philharmonic Orchestra under Edward Gardner. Finnish National Opera and National Ballet feature Finnish world premieres each year. In October 2015, the ballet will be premiering The Little Mermaid, a ballet by Artistic Director Kenneth Greve to music by Tuomas Kantelinen, who is well known for his film scores. January 2016 will see the premiere of a sci-fi opera, Indigo, by Perttu Kivilaakso and Eicca Toppinen, members of the heavy metal band Apocalyptica.